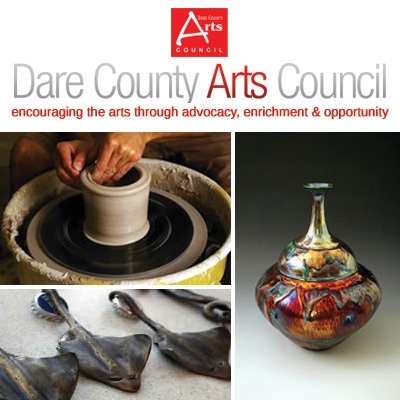 Located on the beautiful Outer Banks of North Carolina, Dare County Arts Council is a nonprofit 501(c)(3) organization dedicated to encouraging the arts in Dare County through advocacy, enrichment and opportunity. Dare County Arts Council strongly believes that the Arts are essential to the creation and sustenance of a thriving, vital community. For over 35 years, thousands of people of all ages and backgrounds participate in Dare County Arts County sponsored programs, including artists, performers, writers, students, visitors and volunteers.